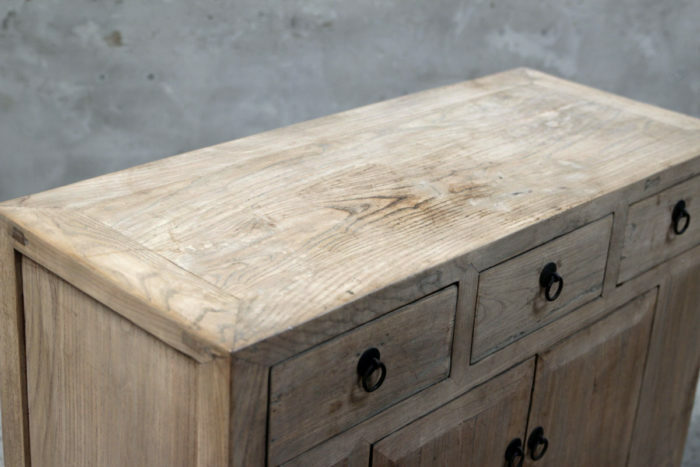 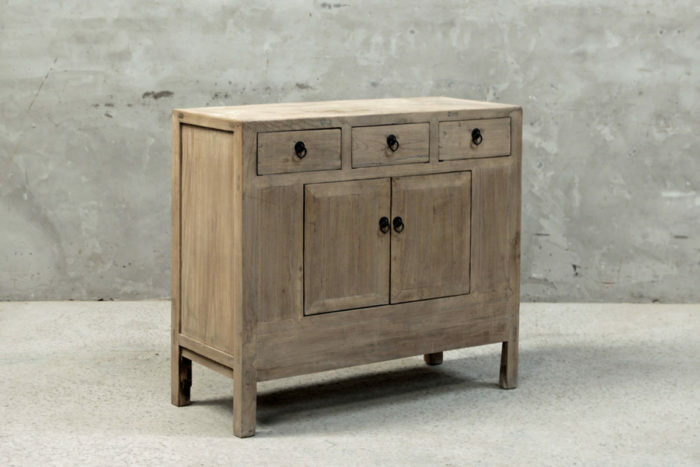 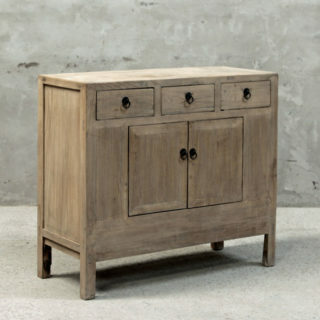 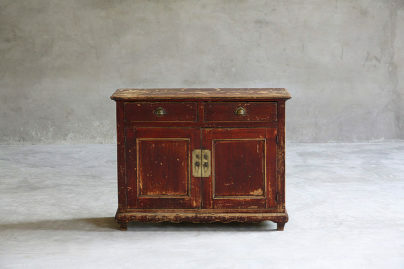 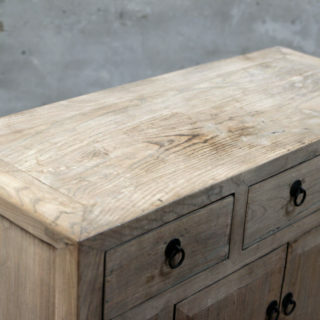 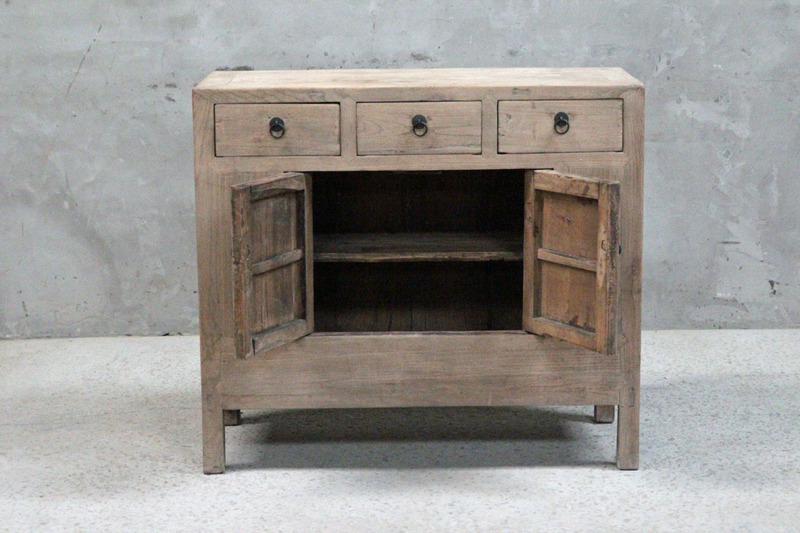 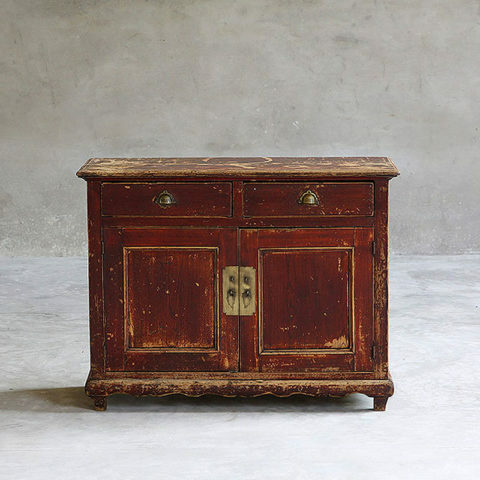 This rustic cabinet provides tons of storage with three drawers and a large cabinet below. 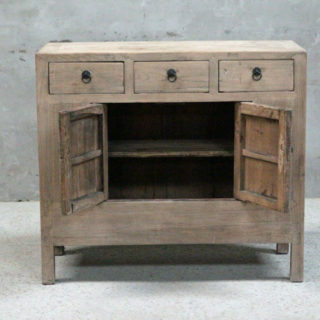 There is also plenty of room up top to display anything you please. 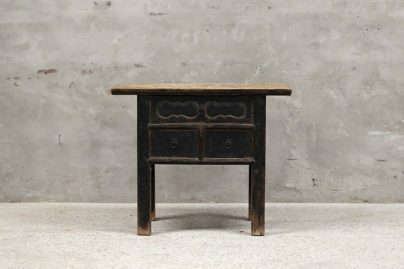 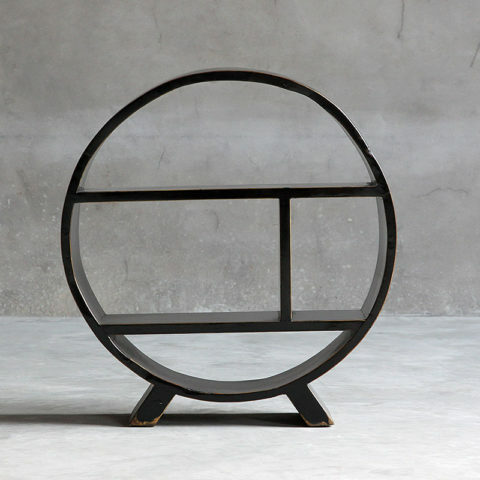 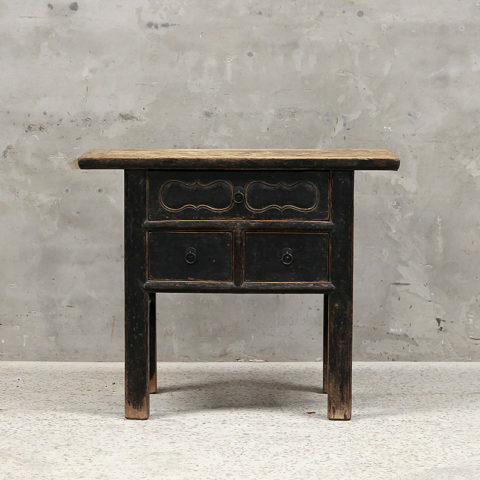 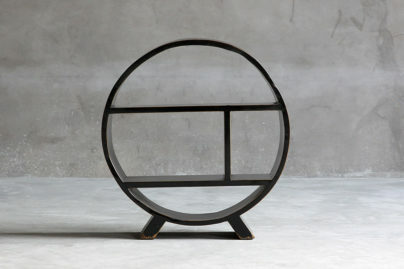 It was found in a small Shanxi province in China and is made of Elm wood.